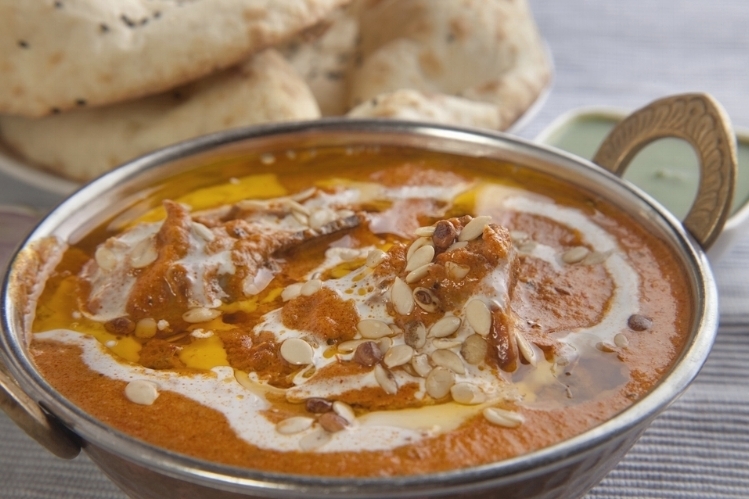 Prepare to please your tastebuds with our Pumpkin Curry. 1. Dry roast the chana dal and the red chilies until they turn golden brown. Add the poppy seeds, cumin, coriander seeds and cinnamon. Let the spices cook until they are lightly roasted. Keep an eye on them so that they don’t burn. Allow the spices to cool completely. Then, place them in a blender, turning turn them into a fine powder. Pour them into a jar, and add coconut in addition to a little bit of water. Make a smooth paste. Step 2. Heat the oil or ghee in a frying pan over a low flame. Then, add the mustard, red chili and cumin. When the ingredients start to pop, add the hing and the curry leaves. Set a small amount of this seasoning aside to use as a garnish. Add the turmeric, salt and tomatoes to the pan, frying the mixture until they become mushy, soft and dry. Add the pumpkin to the pan, and fry the mixture for several minutes. Check the tomatoes, and make sure that they are mushy before adding in the pumpkin. Step 3. Pour 1 to 1 ½ cups of water into the pan and let it boil. Add the paste mixture, stirring until everything is combined. Taste the sauce to check the salt levels and add in more if needed. Heat the pumpkin curry over a low flame until the pumpkin is thoroughly cooked. Watch the pumpkin to avoid overcooking the dish. Pour the pumpkin curry into a serving bowl and add the garnish.